Photographer Bartosz Wojczyński took the photographs at Teide Observeratory, which is located on Tenerife, one of Spain’s Canary Islands. The observatory’s prime location (close to the equator) and clear, dark night skies offer stargazers and astrophotographers full views of the northern hemisphere. 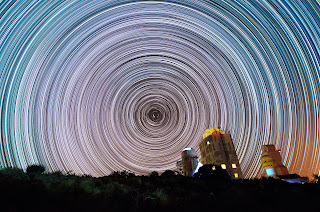 Here, Wojczyński was able to position Polaris, the North Star, at the center of his star trail rings. 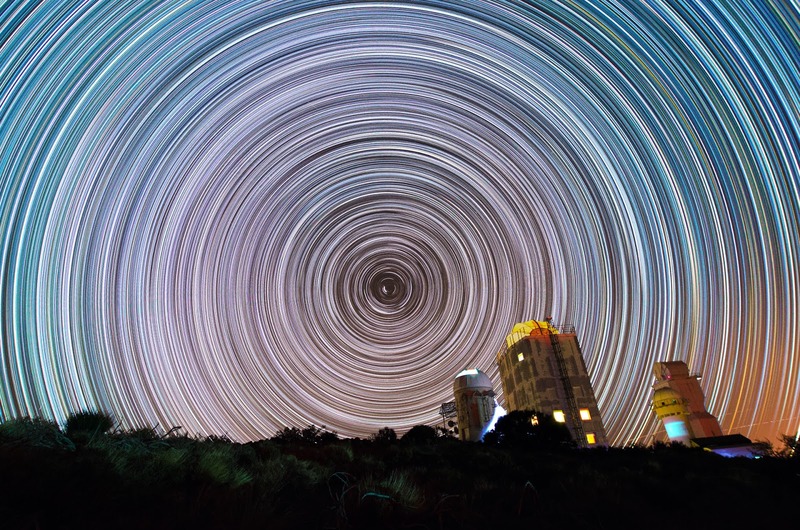 He used a Nikon D5100 camera with a Samyang AE 10mm lens at f/4.8 and ISO 1600 on a Baader Astro & Nature tripod.